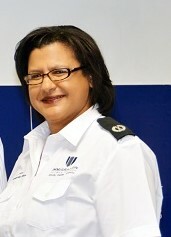 CNS understands that Evans’ suspension is not directly connected to the investigation into Kimberly Davis, the director of immigration boards who is also on required leave in connection with irregularities and potential immigration and labour infractions relating to her private businesses. In recent weeks CNS has been given copies of complaints and correspondence sent to government officials, including the former premier, regarding the CIO. the complaints make myriad allegations about her approach to the job and the management of the department. There were also unsubstantiated allegations regarding more specific and serious infractions regarding status grants and other issues relating to the department. Mercy! How many of our officials are robbing us? I'm glad that someone is bringing this to light………… even if it all just gets swept it under the rug.again.